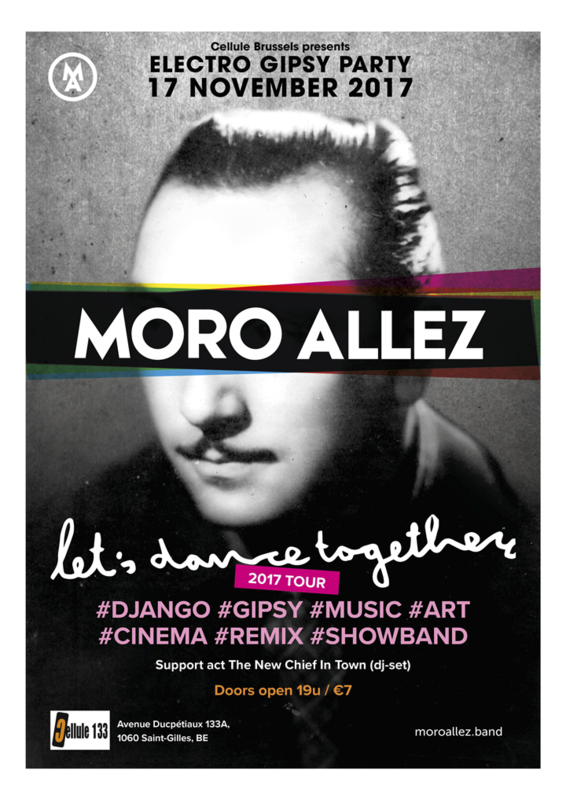 This friday 17th of November, Moro Allez will perform their 'Let's Dance Together' show at Cellule133a, Brussels. You can't miss this one, it's going to be a fun show!! Moro Allez is an eclectic combination of modern and old fashion swing style. A scene that is not only a concert that swings your legs, but a full experience for the eyes! A virtuous Fred Astaire starts giving the beat in a cozy living room, three mature gypsies embrace their chords blending with vinyl’s scratches while a painter gives life to the rhythms through colors. Moro Allez! 4 experiences in 1 show: live projections, strings, dj and painting. Let yourself being transported in this unique, original live remix band from the Netherlands. Join the party and let's dance together! !